I just about had enough time to whip up the recipe again but turn then into muffins instead, which cooked a lot quicker. They were still a little too moist but everyone said they were delicious and I sprinkled a little brown sugar on the top for a bit of crispness. By the time I had battled with this carrot cake I had pretty much run out of time to do anything else too fancy. I rustled up some Mary Berry brownies after a recommendation from Amy at Weekly Bake Off and they were divine! Definitely making those again! 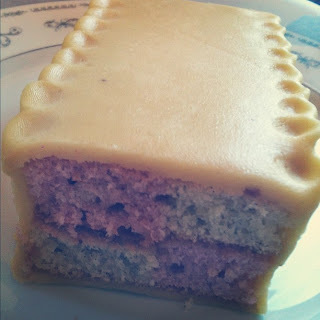 My sort of triumph of the day was my Battenburg, it went a lot better than I thought it would. I have never attempted to wrap anything wit fondant or marzipan so was expecting disaster, and it never came! The marzipan was a little too thick perhaps but I love marzipan so it was fine. I will definitely be using the rose and vanilla sponges in other bakes in future, the flavours were so delicate and complimented each other perfectly. Oh and I ordered some gorgeous cake-tins from Jamie at Home! I cannot find a picture online anywhere so will have to wait until they arrive to show you! So to sum it all up, bit of a flop on the baking front this weekend, but had a lovely time at the parties and learnt a few lessons so hopefully my baking will improve. If you have any lovely carrot cake recipes throw them my way, I need to redeem myself. 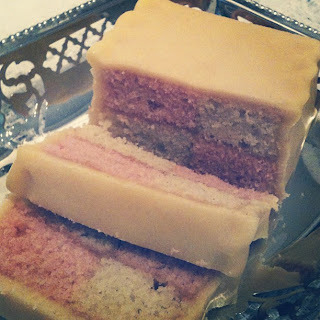 Your battenberg looks great, the pinched edges on the marzipan make it look cute. Baking under pressure can be a nightmare, things are somehow twice more likely to go wrong! I had never heard of Battenburg before except for lace. Your cake is gorgeous. I love marzipan also. I can cook some awesome food, but when it is for a special event, I always mess up so it seems. Gonna give this battenburg a try as well :) It looks lovely!